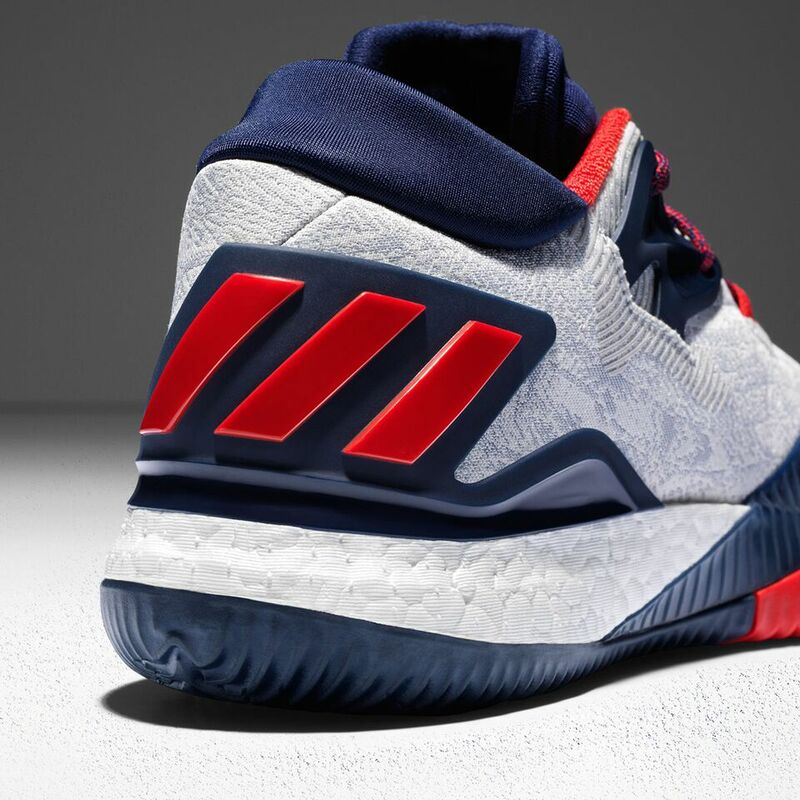 James Harden is now the face of the adidas Basketball campaign, and will be donning the latest and greatest basketball sneaker adidas has to offer.Equipped with the James Harden logo on the tongue, the shoe also comes with a Primeknit upper and a full-length Boost cushioning that is accompanied with blue and red herringbone-style traction. This is the first time a basketball shoe gets the full-length boost midsole. Previous models only had it in the heel, so with the full-length, look for this sneaker to give you that extra bounce and cushioning. 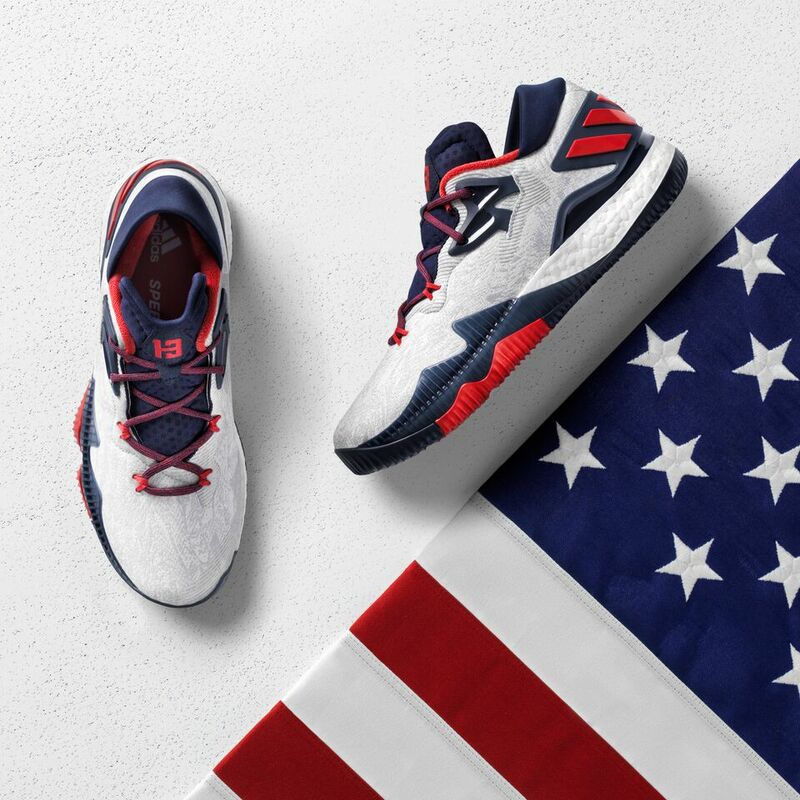 Harden will be rocking these in Rio, and so can you! Grab your pair of the Crazylight 2016 Liberties on 7/16 at 10AM EST in store on online at finishline.com.